A friend who decided to operate an ice cream truck shared with me that it was a waste of time to drive through neighborhoods- no children out of doors in the summer. She ended up making her money at places where senior citizens gather. Recess is on the endangered species list in our schools along with open-ended creative activities- arts, drama, blocks, sand tables. Inventing, building, making things through play in the creeks, trees, basements, and garages of our children’s lives seldom occurs as it once did, even three decades ago. Some parents fear unorganized, rough and tumble play – swings, slides, monkey bars, and merry-go-rounds have all been challenged as dangerous and a liability in a playground or park. Play, a critical element of learning for adults and children, is becoming a rarity in today’s hurried and harried school and work worlds. At what cost? David Elkind’s book, The Hurried Child, made sense years ago and still does today. We schedule children’s lives, building their resumes to set them up for adulthood. Or, are we? We allow, even encourage their avoidance of heat in summer and cold in winter. Screen time fills their afternoons and evenings and they live in isolation of adults, and often their siblings. What are the implications for the loss of play in our children’s lives, anyway? Collaboration opportunities and team-based learning are key to kids building pro-social skills through the power of informal play that serves as an emulation of what children need to become successful adult community members both as employees and civic-minded and socially responsible citizens. The collaborative opportunities we offer in the United States most often occur outside of the “core” or regular school day; through arts, athletics, and extracurricular activities. We’ve created school structures that do not parallel natural environments of learning. Natural environments as learning spaces remain congruent with mammalian neural systems that process new inputs in the moment, scaffold onto foundational learning from the past, and evolve with plasticity throughout our lifetimes. Scientifically managed education creates a faux metaphor for something our brains never were – blank pages to be filled as people work in isolation of each other, often “trapped by sitting” while tuned out by the drone of a teacher’s voice. The human brain alerts to motion, indeed, needs motion to be at peak performance. 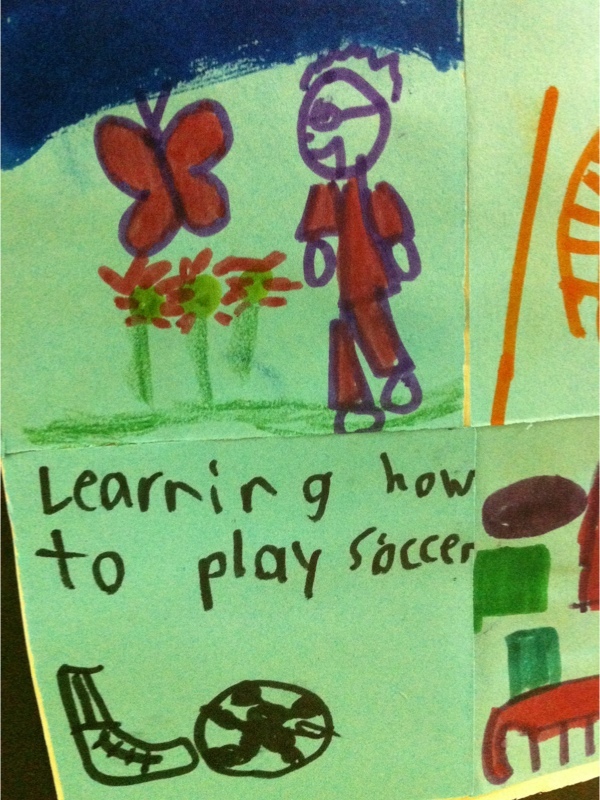 There is a difference between the spontaneous play of children and the planned play of soccer leagues for children. Dr. Jaak Pansepp speaks to the rough and tumble, playing tag and hide and seek “real play” that helps children develop the brain. His lab staff at Washington State University studies the science of play. He found that play links mammals together – indeed, even rats whose play makes them”better” adults. Pansepp’s delightful and brief video takes us to a place of laughter and joy- among children and among the rats he studies in their playrooms. If we restored “real play” in the lives of children, I can only wonder if we wouldn’t be restoring a slice of humanity that’s being lost as the endangered species list of “real play” grows longer. Watching adults engage with Legos, creating in playful ways, reminds us how much children need time inside classrooms to create and build through play. And, if we adults need to play to learn, why do we keep taking time to play away from our children? I Scream/You Scream/We ALL Scream for Ice Cream! I love your important post Pamela. You eloquenty make an excellent case for including adequate time for PLAY in the learnng day. This is healthy for children for many reasons, several of which you have described. Clearly there are physical, emotional, intellectual, and spiritual benefits to making sure PLAY is a part of the school day. It helps foster the holistic development of the child. Perhaps MORE Play-Centered Learning in the classroom can make learning more enjoyable and effective, lasting, even relevant. At the very least, play-centered learning can ENGAGE students, and engaged students are INVOLVED students. 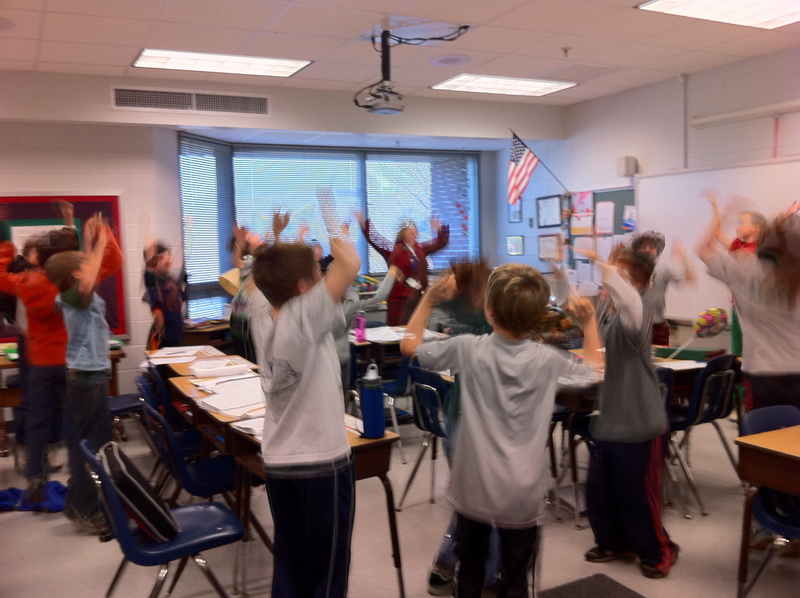 Research indicates the benefits of creating an environment in which students feel involved. They persist, they succeed. Their efficacy beliefs increase and they BELIEVE in themselves and their ability to accomplish their goals. Edward – thanks for your thoughtful comment. Humans are born to play. And you are so right about the benefits of play to learning. Play was the original natural learning model inside the caves and around the campfires and watering holes. There is nothing more delightful than watching children play with blocks or adults seriously play with Legos. Removing play from the world of learning may be one of the most serious errors associated with the accountability generation. I’m going to have the chance to hear Richard Louv, author of Last Child in the Woods this week- looking forward to sharing some of that as well. The only think most education deformers want to know is how to boost test scores, but even then only if the method is inexpensive (or if the costs will primarily go to their friends and/or masters) and if the educational philosophy that informs the “miracle cure” fits their preconceptions. Hence, there’s nothing the US can learn from Finland. Their approach to education is far too humane, child-centric, and progressive. Things like letting kids play much longer before they start school and after they’ve begun it just don’t compute for the corporate-deform, accountability, high-stakes testing uber alles crowd and NEVER WILL. The only way our children get to benefit from the sanity of something akin to the Finnish approach, short of moving our kids to Finland, is to get kids out of the clutches of highly-institutionalized schooling entirely. That’s not an attack on all US teachers or schools, but an admission that there are some pretty twisted folks who make it into education with very anti-child viewpoints. So even before the deform crowd took control, school in this country for most kids most of the time was anything but fun or exciting. In this regard, John Taylor Gatto gets it pretty much right. Sure, exceptions abound, but having gone to a decent middle class suburban school district in northern NJ from 1955-1968, I can state that I entered school eager to learn and left utterly sickened by more than half of the ‘subjects’ I was supposed to have learned and those who “taught” them to me. Those included science, mathematics, and, for the most part, with one notable exception, history/social studies. The less said about electives the better. I had great English teachers and so I left loving that and pursuing it. Years later, I overcame my distaste for mathematics on my own and eventually earned a masters in mathematics education from the University of Michigan. I’ve put nearly 20 years’ work into trying to improve the teaching of mathematics, mostly in high-needs districts and schools, to help teachers become more conscious about what they’re doing (and failing to do) in mathematics classrooms, and to get more students off the well-traveled path towards innumeracy. But nothing I see in the deform movement is going to make that effort go better, and frankly, if the deform movement suddenly went away, we’d still mostly be destroying our children when it comes to meaningful understanding of what it means to know and do mathematics. It’s a crime, but only one of many we’ve been committing for decade upon decade. The Math Wars gave us a good opportunity to see what happens when there’s a major push to put kids at the center of learning a “major” subject like mathematics. What mostly happened was: 1) major misunderstanding of what that meant and concomitant horrid misimplementation of progressive reform ideas; and 2) massive reaction from traditionalists who screamed bloody blue murder and claimed that the sky obviously was falling due to “dumbing down” of hallowed traditions of math content. And it’s hardly a coincidence that a majority of those folks had nothing but mockery for the sorts of progressive and child-centered ideas that come out of Finland. Sure, there should be some cognitive dissonance for them given the high international test scores Finnish kids are putting up (which mean much more to people here than probably anywhere else on the planet), but instead, they dissemble about what aspects of the Finnish system must be responsible for such successes and wouldn’t accept them here even if there were an iron-clad guarantee signed by God declaring that test scores would sky-rocket. So again, we’ve nothing to learn from Finland. We don’t want to. When I was new teacher in the late 1970s, play was a large part of the curriculum. In my pre-first developmental class I had a water table and sand table, which was used daily. We sang and played a lot during our day. The students learned a lot and were not stressed by all of the academics of the primary grades. Students don’t seem to be able to read any better with all of the push for academics today than they could in those days. It is a shame that students are so pushed nowadays. I enjoyed this a lot. 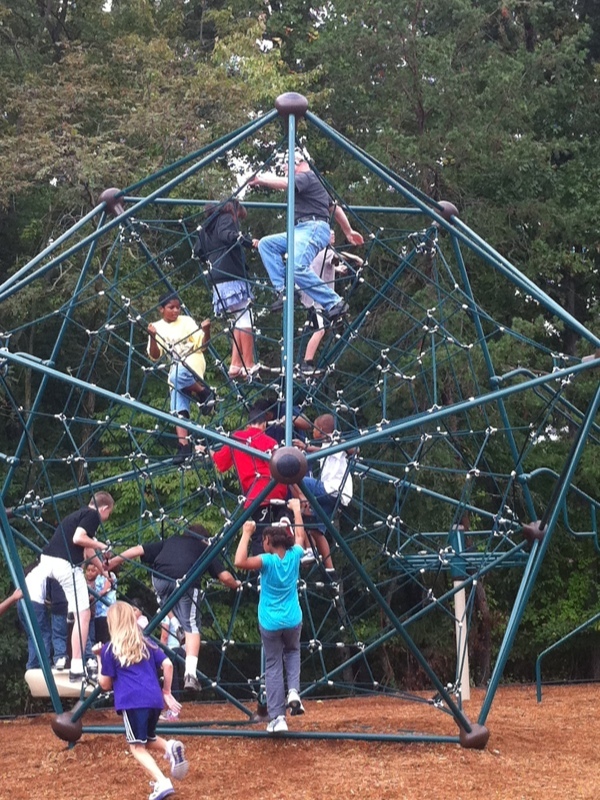 Physical play is important for young children, but it’s also beneficial for teenagers. I’d like to see more movement in high school classes–more creative dramatics, role playing, active experimentation, more opportunities for making things, and so on–in the core subjects, not just in physical education and the arts. It helps when the adults in the system have a playful attitude, which seems less and less common these days. Play, it would appear, is anathema to supporters of standardized testing and corporate education reform. Thanks for your efforts to change the discussion. Thanks for taking the time to read and respond to this post- we would have a much higher engagement if we brought focus to how children and adults learn through play – I appreciated the New Culture of Learning which at some level is the Old Culture of Learning brought forward post-Gutenberg. In some ways the focus on print, read, write became the way of education, leaving a lot of children behind who otherwise have significant capability to explore, create, invent, build, engineer… all of which demand a level of playful imagination, engagement, and investigation. Play IS life. Nice post Pam and a great way to start things off here. One of the most stultifying things about visiting a school all day is how little you get to move. It kills my body and my brain. I have to come home to remember how to play. Thanks, Kirsten- we know that we need to get back to the roots of childhood learning as a start, but play is important to us as adults, too. I wonder how different our schools would be if we simply placed value on joyful, playful learning? We need schools wherein the Marco Torres and John Hunters of the world are the rule, not the exception, or – I think – we don’t need schools. What kinds of play opportunities should divisions make for leadership?